Is a replacement cartridge for all SAMSUNG and Maytag side-by-side refrigerators that use internal short-fat cartridges. Reduce impurities and improve the taste and quality of your drinking water. Replaces DA29-00003A, DA29-00003B, DA29-00003G, DA61-00159A, DA61-00159B filter. SAMSUNG recommend replacement every 6 months. Reduction of Chlorine Taste and Odour. As with all built-in refrigerator water filters, the Aqua Blue H2O DA29-00003F/A/B/G does not remove Fluoride. 4. Turn the filter 1/4 turn to the right (clockwise) to lock it into place. You will feel a stop and the locked symbol should now be lined up with the indicator line above. Do not over tighten. 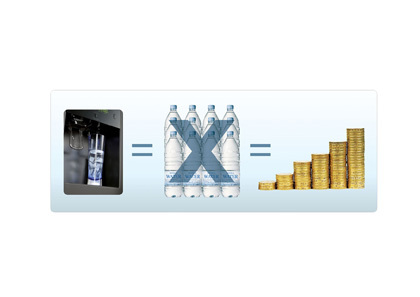 Drinking filtered water rather than buying branded bottled water not only saves you money, it also reduces plastic waste. 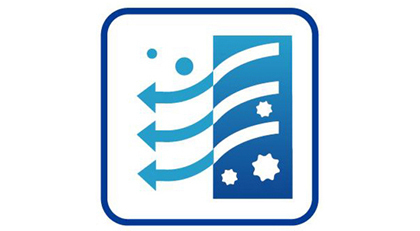 These water filters are tested and certified by NSF International, a non-profit non-governmental organisation dedicated to public health, safety and environmental protection. Its certification is widely recognised around the world as a guarantee of safety. 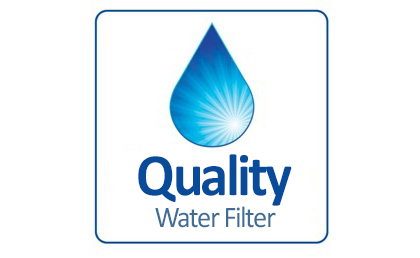 Purchase only tested and certified water filter cartridges for guaranteed performance. We only recommend tested and certified quality water filters for use with our refrigeration products, non-tested products may be of poor quality and non-compatible. These water filters use a high grade carbon block, removing over 99% of potentially harmful contaminants that may be present in your water, such as: Chlorine, Heavy metals and chemicals, Microbial Cysts and Parasites. 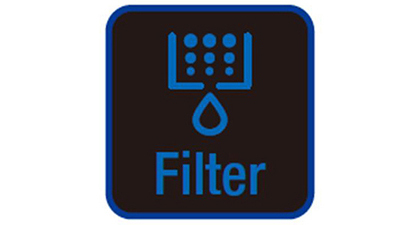 Simply refer to the digital panel on your refrigerator to see whether your filter needs replacing. When the filter requires changing the light will turn red. 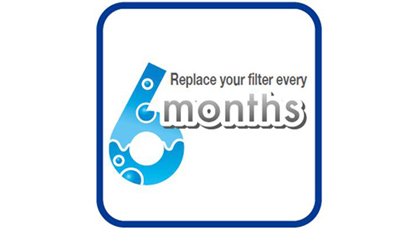 Each filter also comes with a month sticker that can be applied to the filter cartridge as a reminder. When you purchase a Samsung side by side or French door refrigerator with ice and water dispenser you can rest assured that it is equipped with a highly efficient water filtration system. Whether located inside or outside of the refrigerator, these filters guarantee a reduction in contaminants. Enjoy fresh filtered water right from the dispenser without worrying, time after time.